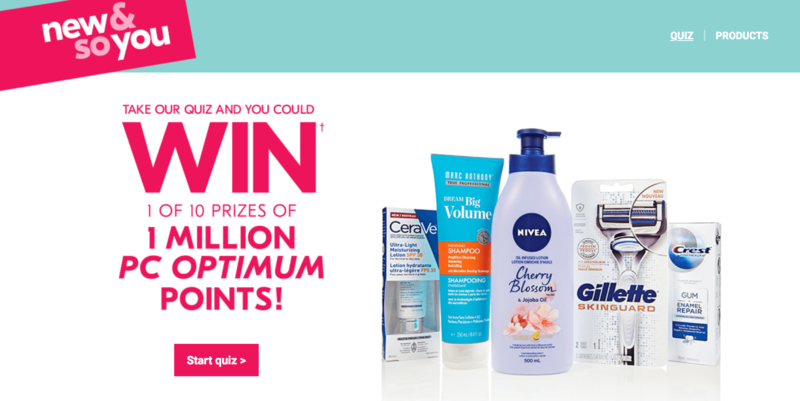 Shoppers Drug Mart has a New & So You contest where you can take their quiz for a chance to win 1 of 10 prizes of 1 million PC Optimum points! The contest closes on March 22nd 2019 at 11:59:59 pm ET. Limit of one entry per person, per e-mail address during the Contest Period.